By now, over 100 millions users all over the world have been using PayPal to receive and send their money internationally. That is why www.onlinestockist.com chooses the state-of-art secure online payment system of PayPal. PayPal's payment system is known as the safest online shopping and payment system. Whether you have a PayPal account or NOT, you can shop online with PayPal's system without exposing your financial information to us or any online merchant. If you have a PayPal account, you just need to login to your account and send the Order amount (money) directly in your PayPal account to our PayPal account by a few clicks. You even don't need to send us any information of your credit card. If you do not have a PayPal account & want to use your credit card or debit card, you just need to provide PayPal with your credit/debit card information, and Paypal will charge the money from your credit/debit card and transfer it to our account. In this way you also do NOT share your credit card information with us and makes your transaction safe & secure. Of course you may also sign up a new PayPal account very easily, and then pay us through your PayPal account. (Important Notice: when you pay to us with you credit card through PayPal platform, at the same time it's the process that you sign up a PayPal account with your email and password when filling in the information. Please remember and keep this email and password safely, especially the email, which is connected and verified with your Credit Card. 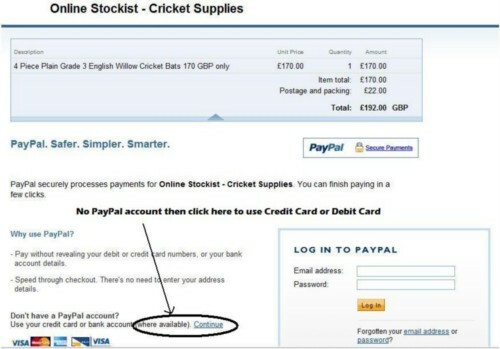 You can use this account the next time you shop with us or any online shop accepting PayPal. One of the safest ways to send money online. Your payments are sent without sharing financial information with merchants or others. State-of-the-art fraud prevention to stop cyber crime. Your payment is followed by an email confirming your transaction. Protect your payments in the unlikely event something goes wrong. 2 or 3 easy steps to pay online.Seconds to minutes to view credits.